NEW YORK – (AP) Two more drugs from a specialty pharmacy linked to a meningitis outbreak are now being investigated, U.S. health officials said, as they urged doctors to contact patients who got any kind of injection from the company. Monday's step by the Food and Drug Administration followed reports of three new infections. One is a report of a possible meningitis illness in a patient who got a spine injection of another type of steroid made by the company. The agency also learned of two heart transplant patients who got fungal infections after being given a third company product during surgery. The illnesses are under investigation, and it's very possible the heart patients were infected by another source, FDA officials cautioned. They did not say whether the meningitis case involved a fungal infection or where three infections occurred. ylprednisolone acetate, advise them about the risks of fungal infection, and urge them to take any meningitis symptoms seriously. The steroid was recalled last month, and the company later shut down operations and recalled all the medicines it makes. The FDA expanded its advice to doctors to contact all patients who got any injection made by the company, including steroids and drugs used in eye surgery as well as heart operations. The agency said it took the step “out of an abundance of caution'' as it investigates the new reports involving the heart surgery drug and the second steroid, called triamcinolone acetonide. Nearly all the 214 illnesses in the outbreak are fungal meningitis; two people had joint infections. Last week, federal health officials said 12,000 of the roughly 14,000 people who received the steroid shots had been contacted. Those people received methylprednisolone acetate injections at clinics in 23 states. New England Compounding, which custom-mixes ointments, painkillers and other products, is licensed to sell in all 50 states. The FDA, who is investigating the outbreak with state officials, did not say how many patients fall under the new advisory, or where the products were shipped. 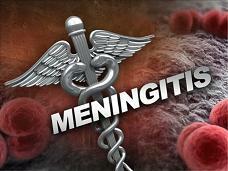 Symptoms of meningitis include severe headache, nausea, dizziness and fever. The Centers for Disease Control said many of the cases have been mild, and some people had strokes. Symptoms have been appearing between one and four weeks after patients got the shots, but CDC officials warned at least one illness occurred 42 days after a shot.